Uncategorized Worshiping in the basement and loving it! 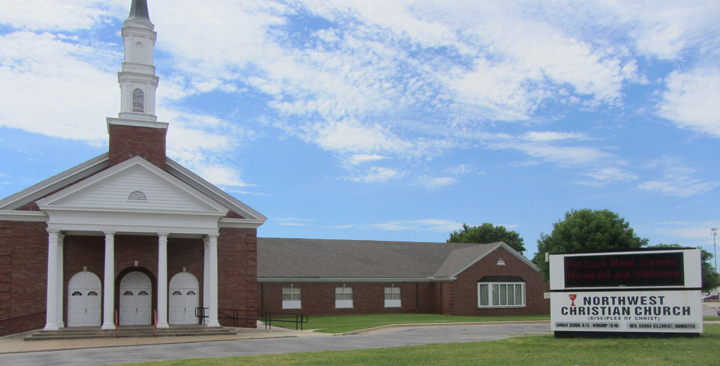 Northwest Christian Church, Oklahoma City, OK had reached a point where it needed to reimagine its ministry. The surrounding community had changed, the building was large and costly to maintain and the membership was aging and declining in numbers. The Northwest leadership determined it was time to seriously look at the congregation’s future. In order to make an informed decision about the direction the church might take, they called upon Hope Partnership for Missional Transformation to facilitate the process. Hope Partnership’s New Beginnings service helps a congregation in declining health discern God’s unique call for them to regain their vitality or help them direct their remaining assets into the ministry channels they determine to be most appropriate to their mission. Through the New Beginnings process, Northwest Christian Church leaders met with Rick Morse, Hope Partnership vice president, to assess their situation and provide some clarity around choices to be made. Northwest leaders learned that more than 58% of their members do not live within three miles of the church and are no longer representative of the racial/ethnic and generational population in the surrounding area. They also noted that the sanctuary, while in great condition, was a significant drain on the congregation both financially and psychologically. The sanctuary seats 300 and is way too large for the congregation’s average worship attendance of 50. It also costs a significant amount of money to heat and cool. So the Northwest leadership took what they learned – sanctuary much too large and costly; building underutilized by congregation and community; congregation not reflective of the surrounding neighborhood; congregation aging and attendance declining – and went to work making the hard decisions. 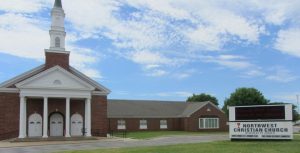 Northwest Christian Church quickly placed its building up for sale, closed up the sanctuary, and relocated to the fellowship hall in the basement. Following some renovation, they found the basement space to be perfect for their needs. It was right-sized for their attendance and they found that the acoustics in the less cavernous space were better for their choir. They are also closer to the kitchen for meals following worship and they rent out the kitchen during the week to food trucks and others. Their costs are down and there is a regenerated enthusiasm among the members. The future is still uncertain for Northwest Christian Church as they explore their relocation options for once the building is sold, but what is certain is the impact the New Beginnings process has had on a church that needed to make some changes in order to thrive. To find out more about the New Beginnings service and whether it is right for your congregation, click here.